Submit Your Work Today on Groundhog Day! Remember the movie Groundhog Day? Bill Murray lives the same day over and over again until he gets it right? Are you caught in a vicious cycle? …then still not getting published, not even trying…? If you’re ready to make a change but can’t do it alone, it’s time to get the help you need. Writer’s Relief offers submission assistance—not to mention meaningful support and encouragement. Tired of living the same day over and over? Make a change. Right this moment. Submit your work for consideration at Writer’s Relief today! ← Do You Miss Sending Letters By Mail? 2 Responses to Submit Your Work Today on Groundhog Day! Debbie, lovely poem! 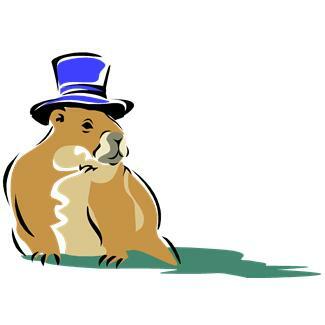 Thanks for gracing us with your writing, and happy Groundhog Day! I wrote a poem about Groundhog Day that I would like to share with you. So let’s be very still. And we’ll see him again next year.